Few of us can afford to spend without regard to our outflows. As a result, that means that many of us need to save up when we want to make a big purchase. Whether it’s saving up for a new computer, being prepared to make car repairs as needed, going on a family vacation, or buying a home, reaching your goals takes planning. This is especially true for bigger, longer-term goals like helping your kids pay for college or building a nest egg for retirement. 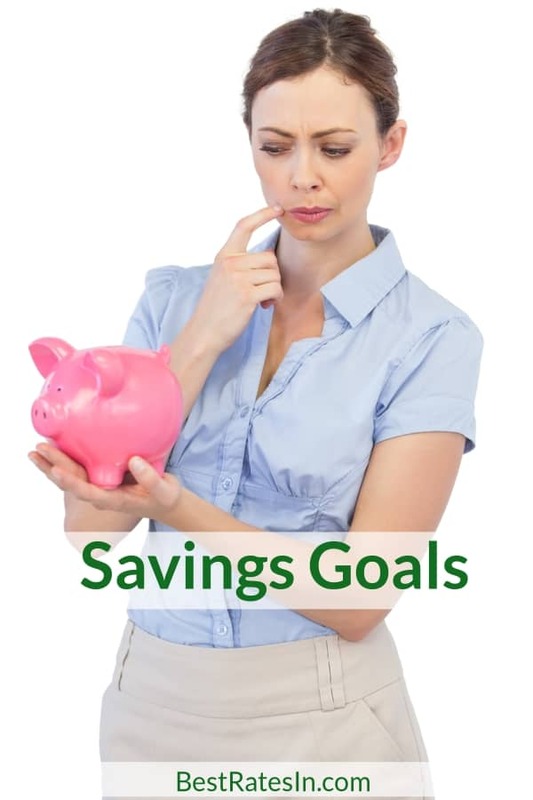 Here’s how to use your savings to reach your goals — even if you have multiple goals. The most important thing you can do as you work to reach your financial and life goals is to decide what you want to accomplish. One of the reasons that savings goals so often fail is because you don’t have a purpose for your money. It’s much easier to just spend your money than it is to save if you don’t have something to save for. Think about what you hope to accomplish with your money. Have a purpose for your savings. Even if the purpose is to be prepared to handle emergencies, that’s something that you can hang on to. Your emergency fund doesn’t need to have a nebulous purpose, though. Think about the ways you would use your emergency fund if you needed it. When you are just saving for an undefined “emergency,” it’s harder to stay motivated. Instead, list out the types of emergencies your fund could cover. Job loss, medical problems, broken appliance, and car repair are some of the items you might want financial protection from. From your retirement account to building a “fun fund”, think of different uses for your money that make sense for your situation and your priorities. Once you know what you want to accomplish, it will be easier to make a plan — and stick to it. Your next move is to categorize your savings goals according to timeframe. Understanding when you will need your money is an essential part of using your savings to reach your financial goals. You don’t need to set aside as much in your retirement account each month if you start early and you know that you will have 30 years to let it grow. However, if you know you want to buy a home in three years, and you need to save up a down payment, that will affect how much money you set aside right now. Another good reason to think about setting time-based goals is so that you understand the kind of risk you should be taking with your money. Money that you know you will need in a few years should be kept someplace considered “safe,” like a high-yield savings account. You won’t get a huge return, but if you know you’ll need the money soon, liquidity is the prime concern. If you plan to go on a big family vacation next summer, you don’t want to invest your vacation savings in something like stocks. The short-term volatility of the stock market could mean that you lose your money, just when you need it to pay for your family trip. On the other hand, if you are saving up for your child’s college in 15 years, stocks aren’t a bad choice, since you have the potential for bigger growth over time. Think about when you will need the money, and prioritize your contributions accordingly. Don’t forget, though, that wealth building matters over time. Part of setting these time-based savings goals is weighing your priorities. You want to make sure you are on track for retirement, no matter what. If that means that you adjust some of your short-term goals, that’s the way it is. If you know that you need to set aside $400 a month to meet your retirement needs, make sure that is done. This might mean that you can only put aside $100 a month for your vacation instead of $500. You might need to change your expectations so that your biggest priority is still met. Your next move is to make your savings as automatic as possible. Unfortunately, it’s human nature to spend money when it’s in our hands. As a result, it’s easy to put your savings last. When that happens, you become disappointed when you can’t use your money for the things you would like to use it on. Rather than saving after everything has already been done, make your savings as automatic as possible. Your retirement contributions can come right out of your paycheck so that you don’t even have access to that money for regular monthly spending (bonus if your employer offers a matching contribution). It’s also possible to arrange for automatic transfers from one account to another. I regularly have money transferred from my checking account to a savings account whose purpose is to let me build up money to pay my taxes. Every month, money is moved into this account, and I can use it to pay quarterly taxes, as well as my state taxes. It’s a good way to ensure that I have the money I need for taxes. It doesn’t get spent because it comes out automatically, and it’s built into my monthly spending plan. This works for other types of savings as well. You can use this method to automatically move money for your vacation, the down payment on your home, and to fund your rainy day account. Some banks even allow you to set up savings subaccounts so that you can fund different goals as you go along. With this setup, it’s possible for you to set up one automatic withdrawal from your checking account, and then decide how to allocate the money amongst your subaccounts. Configure it right, and you could easily automate your savings goals. You’ll be surprised at what you can accomplish. Finally, make sure that you find other sources of savings. Are you really saving what you can? Is your money really being used efficiently? One of my favorite new tools is Digit.co. This app is designed to automatically save money on your behalf. Using an algorithm, the app analyzes your financial patterns, including income and expenses. I’ve been using Digit.co for a couple months now, and it’s been eye-opening. You might be surprised that you could be saving a little more than you already are. While Digit doesn’t pay interest on the money it holds for you, it can still be a useful tool, since it provides you with insight in what you could be doing. I usually let the money build up a little bit, and then withdraw it and move it to an investment account or put it toward a different goal (in an account that does pay interest). You can also find other sources of savings by starting a side gig or looking for other sources of income. It doesn’t just have to be about cutting costs or pinching pennies. Boosting your income can also be a good way to find other sources of savings. Once you get used to finding more sources of income, it’s addicting. You’ll be surprised at how much more you can accomplish, and how much closer you will be to achieving all of your goals — whether they are long-term or short-term.